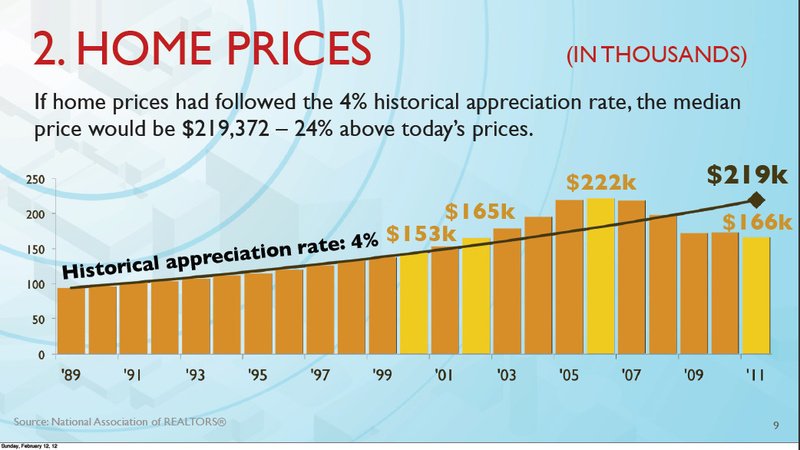 NY Times called 2009 the “Golden Age” at 5%…Now as low as 3.87%! 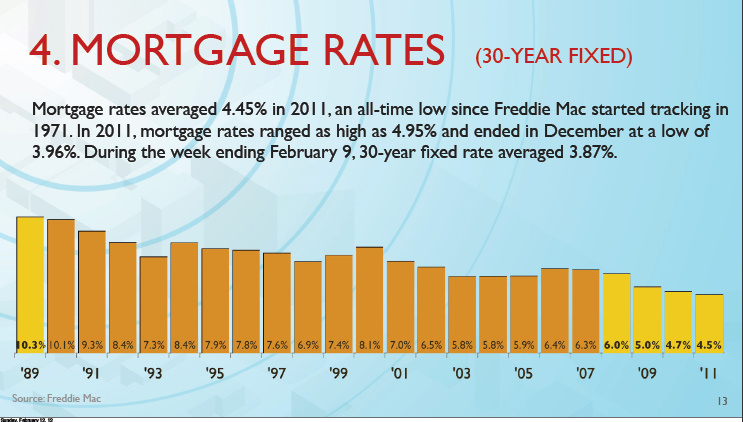 The rates could maybe drop only 1%, if lenders eliminated all profit. Odds of that happening? 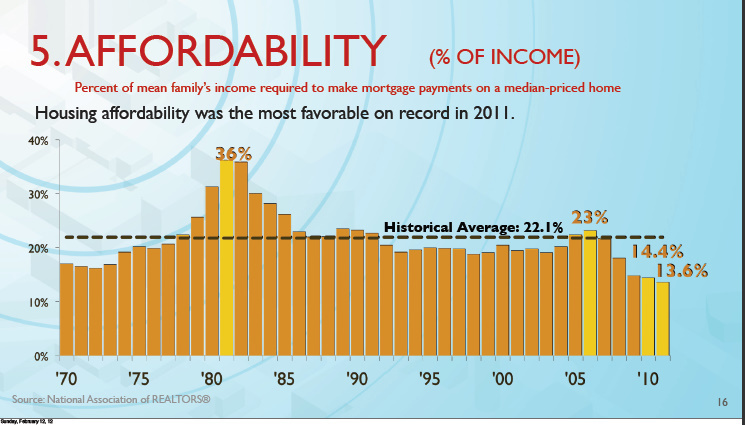 Homes have never been more AFFORDABLE in history of recorded time. 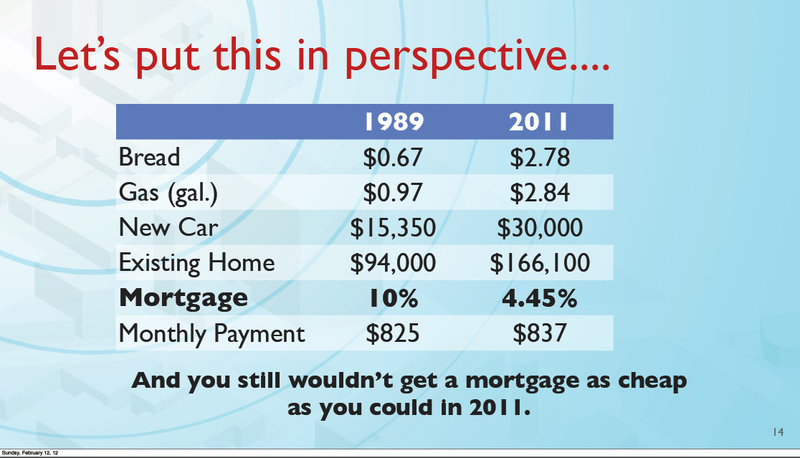 “Why should I buy when prices are down 30%?” Think Price vs Value. please let me know and I would be happy to help!